Parents today have a variety of options for preschool classes and activities. From beginner sports teams to visual or performing arts, you can find enrichment opportunities for almost any interest your preschooler might have. But some wonder if it’s too much, or too soon? First, let’s look at what the term ‘enrichment’ really means. According to Merriam Webster, the definition of enrichment is to make rich or richer especially by the addition or increase of some desirable quality, attribute, or ingredient. When talking about enrichment classes and activities for children, parents often look for the types of activities that will enhance, or make richer, their child’s learning and development while creating a more well-rounded individual. These types of experiences can expand young minds, introducing preschoolers to foreign languages, sports, visual arts, performing arts, computers, and more. Is a Preschool Aged Child Too Young to Benefit from Enrichment Activities? Most experts, including those at Carpe Diem Private Preschool in Allen, Texas and various other locations, agree that children are never too young for enrichment opportunities. Research has shown that the younger a child is exposed to any type of learning, the more they are set up for success in the years ahead. In addition to academic and social benefits, enrolling a child in enriching classes and activities can elevate learning beyond what can be accomplished at home. Waiting until kindergarten for these types of enriching experiences could mean a missed opportunity to enhance development during the early years when a child’s brain develops so rapidly. For this reason, Carpe Diem Private Preschools in Cedar Park – Austin and all other area locations offer enriching programs for infants, preschoolers, and beyond. 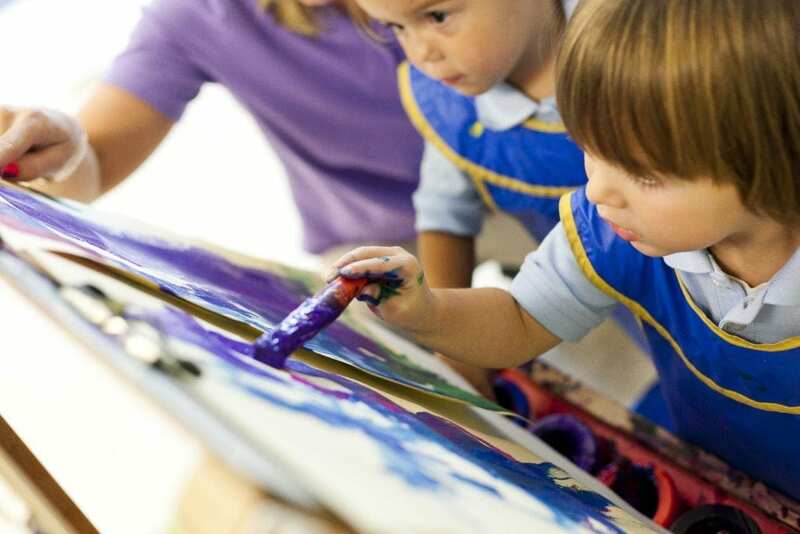 What Types of Enrichment Activities Offer the Most Benefits for Preschoolers? Children learn best through activities that spark their natural curiosity and unique interests. Beyond learning numbers and letters, enrichment opportunities that introduce new skills and experiences to a child often gives a boost in confidence throughout daily life as well, helping them feel more comfortable to learn and try new things. While some enrichment activities will appeal to a child’s interests or passions more than others, a good variety of activities can introduce healthy challenges that encourage preschoolers to stretch their cognitive and creative abilities. And if a child shows early signs of advanced intellect, enrichment classes can give them the added academic stimulation they may need to excel. Don’t All Preschools Offer Enrichment? Not all preschool programs are created equal. Some focus exclusively on basic academics, and some offer more well-rounded programs that incorporate academics, play, and enrichment opportunities. Preschools that offer rich curriculum which goes beyond worksheets with letters and numbers, seek to elevate learning beyond a ‘normal’ classroom environment. For example, Carpe Diem Private Preschool in Frisco and other locations throughout Texas, offer preschool programs that specialize in “enriched play” opportunities. We believe that children learn best through experimentation and play which motivates their interests and curiosity. Tapping into these interests in the first five years of life helps to support academic goals. Whether you visit our location in Richardson, Texas, or any other Carpe Diem Private Preschool location, you will see that our staff takes great pride in discovering what motivates and excites each child. Every student is engaged in enriching activities to ignite a love of learning that helps each child achieve their individual learning potential. Is Preschool Enough, or Should I Enroll My Child in Extra Activities? Finding the right balance of activities is different for every child and family. Enrolling your child in a preschool program that fosters creativity, curiosity and advanced thinking can promote healthy child development through social, physical, emotional and cognitive growth experiences. Many preschool programs such as Carpe Diem Private Preschool ensure their students receive a good balance of multiple learning activities during the normal day which includes reading and writing, math, science, social studies, music, art, foreign language and drama. Some preschools, such as Carpe Diem Private Preschool in Southlake and other Texas locations, also offer parents the convenience of optional enrichment classes within the same walls, without having to add more stress to parents’ already busy schedules. Working together with parents, successful preschool and enrichment programs provide a balanced, holistic approach that can help even the youngest child develop into a more well-rounded, confident individual.